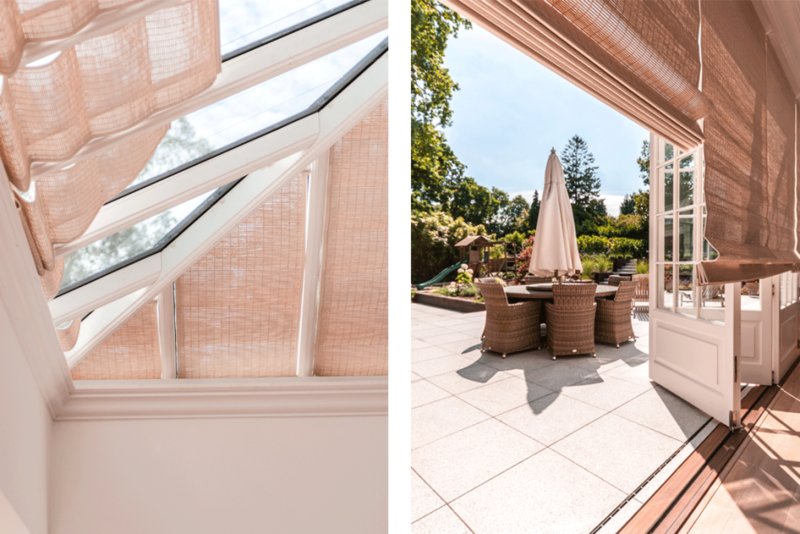 If you have a lot of glass in your home, perhaps a conservatory, bi-fold doors or an orangery with a roof lantern, chances are that during the Summer heatwave it was very hot! An abundance of glass can also mean that in Winter, your home may be cold and not well insulated. Whilst a great way to maximise light in your home and really open it up, glass can have its drawbacks when it comes to UV glare, heat build-up and heat loss. 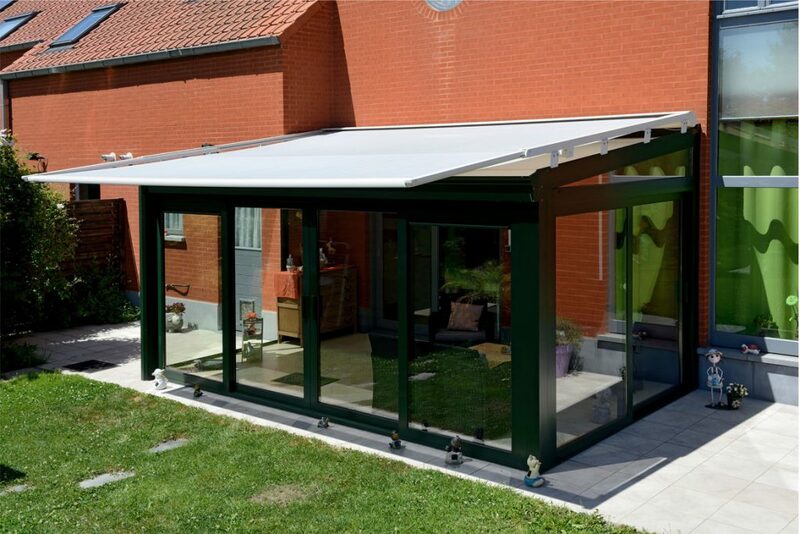 For other glazed areas, such as glass conservatory roofs, there are a number of choices for shading your glass roof, either from the outside or inside. Internally, you may choose from a variety of internal blinds. Our Duette honeycomb blinds for light diffusion help to retain winter warmth and reflect summer heat. Or you may like to opt for French Pinoleum wood style roof blinds for a natural and traditional feel. Either types are available as manually controlled or grouped in electric operated zones with remote control operation. All of these blind types can also be manufactured for triangular shaped and gable end glass elevations. 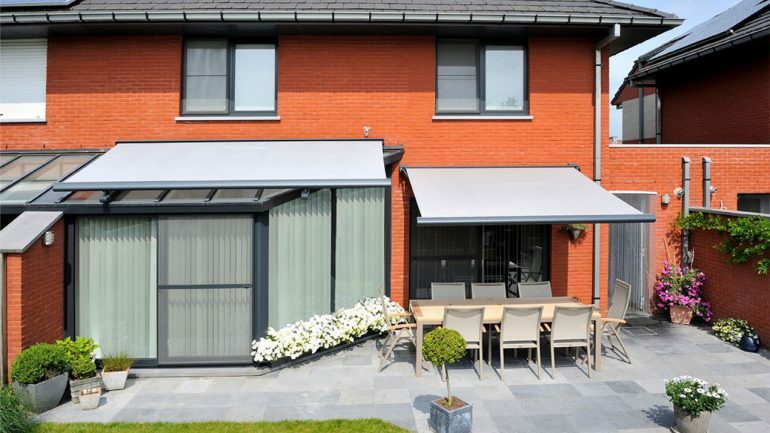 From outside, we have several awning systems that mount onto the outside frame of your conservatory or glass veranda and are the perfect way to cool down large glazed areas in Summer and filter intense and damaging sunlight. Broadview offer a fully bespoke solution from design through to installation. If you would like to organise a free design consultation, please contact the team on 01202 679012.